For your next special occasion or event, we would love to do your makeup for you! Makeup applications are offered by our team of professional artists who all have completed formal education. We keep up-to-date by attending training sessions, workshops, and beauty conferences. We use Jane Iredale Skincare Makeup, the Gold Standard and #1 choice of skin care professionals. This line is certified cruelty-free as well as endorsed by Leaping Bunny and PETA. Long-wearing, beautiful, and good for your skin. Aloe vera, green tea, white tea, jojoba oil, peptides, and hyaluronic acid are only a few of the nourishing ingredients. Free of parabens, talc, phthalates, synthetic fragrance, fillers, and GMO ingredients. Non-comedogenic formulas won’t clog pores and are dermatologist recommended. Let us help you choose the perfect, healthy-skin makeup that will protect your skin and enhance your unique beauty, naturally. Color-matching consultations are complimentary. 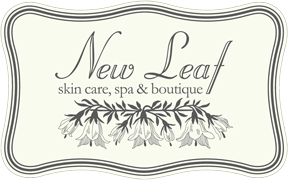 We offer complimentary makeup consultations here at New Leaf Skin Care. We use Jane Iredale Skincare Makeup, which is a very clean and pure makeup line. No chemicals or fillers added and dermatologist recommended. During the consultation we will talk about your skin, what you are looking for in makeup, and try a couple of different products to your skin. We also offer makeup applications if you desire a full face of makeup. For those desiring to create a simple routine and learn more about the art of applying makeup. 30 minute lesson. This is a great choice if you would like glowy day makeup application that brings out your natural beauty. If you need more than the basics, see below. For those desiring a bit more than the basics. This is our most-requested makeup application. If you need more dramatic makeup, see below. For those desiring dramatic makeup. Perfect choice for when the event calls for a more dramatic look, such as attending a wedding, getting your picture taken, performing on stage, or nighttime glam. For cat eyes, an extra $10. For those desiring more than mascara. More natural-looking and they last longer than the normal strip lashes, up to a couple of days. During this appointment, we will run through your bridal makeup look. We will talk about what you want for your special day and you will leave with a beautiful finished bridal look and a face chart of your look. Look radiant on your big day with professional Jane Iredale Makeup application! A top-shelf mineral makeup, Jane Iredale leaves skin flawless and natural, and our talented makeup artists will help you create your dream look. HD-ready and long-lasting. Includes individual lash application. For your next special occasion or event we would love to do your makeup on-location! Please inquire for details.